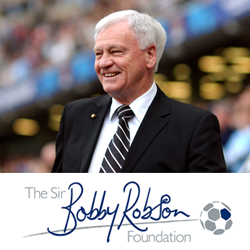 “I’ve seen many, many memorable moments on football grounds. Not many would beat this. They beat Crook Town and Consett. They beat Bishop Auckland and Burscough. They beat Chesterfield and Enfield. They beat Stoke City. It’s taken them such a long, long time to get here, but my word, they’re going to remember this night. 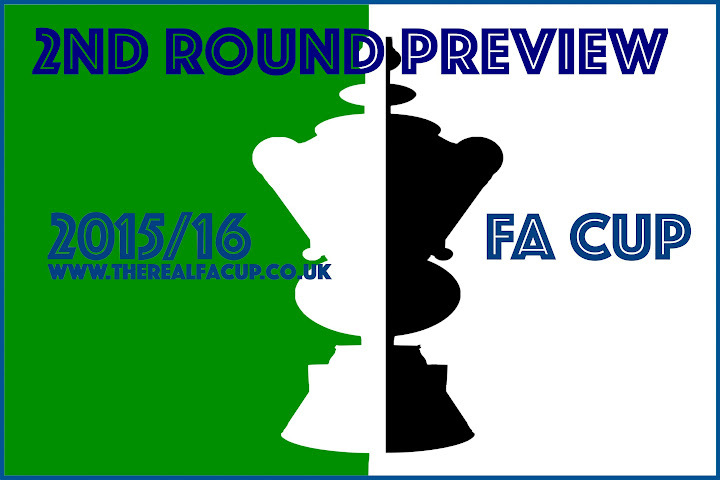 It all belongs to the men in green and white” – Barry Davies, Blyth Spartans v Wrexham TV commentary. Ken Teasdale was a young lad when his dad, Charlie, started taking him along to his local football team in the early 1960s. His earliest memory involves the FA Cup and Blyth Spartans losing to Carlisle United in November 1962 and since then he has rarely missed a home or away game. Ken’s family had been associated with Spartans for many years – his grandmother was the tea-lady and his grandfather was the groundsman at Blyth’s Croft Park home. The club, put simply, “is in my blood” he says. As the 1977 season kicked off, Ken had no idea what he was about to witness: “There was no chance of ever imagining a Cup run. We were previously struggling and had a new manager in Brian Slane who was changing the squad”. 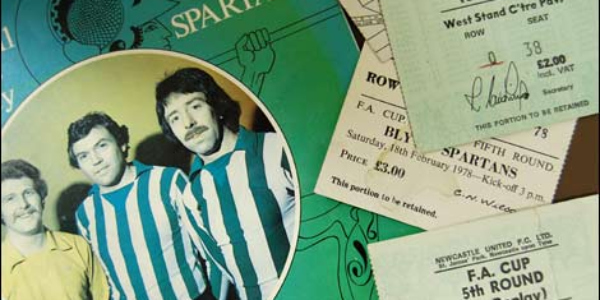 By the end of February 1978, Spartans had become the greatest giant-killers in the history of the FA Cup and Ken had watched every minute of the journey. The journey for Spartans began on 17 September 1977 when they travelled to fellow Northern League side Shildon. “That was a comfortable win with little hint of what was to follow,” Ken remembers of that day. Amongst the scorers that day was Brian Slane, who had started the season in prolific fashion. The goal was his sixth of the season, which was nine games old and had included a win the previous weekend against the same opponents in a league fixture where he had scored a brace. Three weeks later and Blyth were on the road again, once more paired with opponents from their own league, this time in the form of Crook Town. A hard fought 1-1 draw was followed three days later by a convincing 3-0 victory, which Ken remembers “featuring a superbly flighted free-kick from Ron Guthrie” to complete the scoring. Little did Guthrie know that he was starting on an adventure to rival that of 1973 when he was Sunderland’s left-back when they lifted the FA Cup. The Northern League again provided the opposition in the next qualifying round on 22 October. This time it was Consett’s turn to be soundly defeated, Spartans winning 4-1 to set up an away tie against Bishop Auckland on Bonfire Day. “This was the game where we rode our luck most,” Ken recalls. “We were playing against a strong, local rival team and we battled to scrape through” with Ian Mutrie snatching the vital winner that sent his team in to the First Round proper. League sides were avoided as Blyth were pitted against Burscough at home. Mutrie again scored the vital winner in another 1-0 victory on 26 November. Despite Blyth “dominating the game for long periods of time” the part-timers from Lancashire were stubborn opponents “and were very difficult to get past”. The victory would result in a team from the Football League travelling to the north-east. Third Division side Chesterfield travelled north on 17 December and were defeated by a close-range shot from local boy Steve Jones. “It was a heroic, rear-guard action that got us through after that goal, mainly featuring our centre-back Tommy Dixon and goalkeeper Dave Clarke”. Clarke played a blinder that day, proving his reputation of being the best ‘keeper in the country playing outside of the Football League. The win meant that the Northern League club from Northumberland would enter the Third Round draw; a chance to have a crack at the big boys from the First or Second Division. Blyth’s name was pulled out of the hat first to give them home advantage. The next team to be drawn out was Enfield. The team from the Isthmian League had defeated Spartans six years previously in the semi-final of the FA Amateur Cup, but on 7 January 1978 Blyth would get their revenge. In a “fierce game that saw the visitors reduced to 10 men” it was Alan Shoulder, the smallest man on the pitch, who scored the only goal of the game with a great header that sent a crowd of over 5,000 into wild celebration. 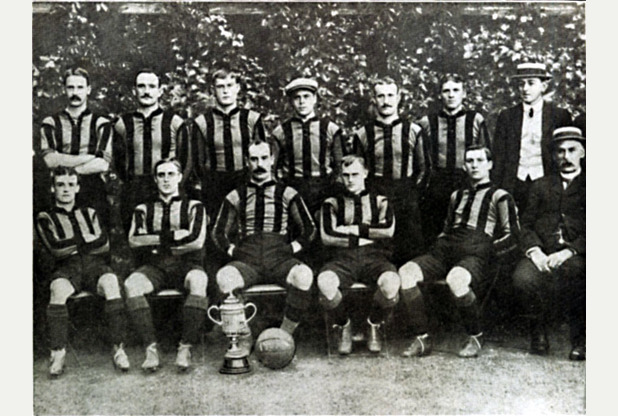 Blyth’s reward was a big tie away to Stoke City, who had recently been relegated from the First Division. After the match was twice postponed, the Victoria Ground was passed fit and on 6 February Blyth “produced the best footballing display of the Cup run”. Lining up for Stoke that day were quality players such as England international Alec Lindsay; Republic of Ireland international Terry Conroy; Howard Kendall and Viv Busby; and a young Garth Crooks, who was soon to represent England Under-21s. Terry Johnson opened the scoring after 10 minutes for Spartans, his fourth FA Cup goal of the season after strikes in both games against Consett and a goal back in September against Shildon. Spartans emerged for the second half with their lead intact but then Stoke grabbed two quick goals. With ten minutes of the match left, Spartans looked to be going out. Excitedly, Ken remembers what happened next: “We came back and grabbed an equaliser, in off the post, through Steve Carney. That produced a last minute finale where Johnson hammered home through a crowded goalmouth to win the tie 3-2. Johnson disappeared into the Blyth crowd behind the goal before emerging to a great ovation, which emotionally included the Stoke fans”. The Fifth Round draw had already been made by the time Blyth defeated Stoke, and they knew that they would be away to the winners of Wrexham versus Newcastle United. For Blyth it was the opportunity to play at a packed St. James’ Park against their local neighbours who would surely overcome the Third Division Welsh team. Only Wrexham, just like Blyth, weren’t following the script. As Johnson was lashing in the winner, Wrexham were cruising to a 4-1 victory at The Racehorse Ground. “There was an element of disappointment of course, but Newcastle were thumped 4-1 so Wrexham deserved to be there” – and on 18 February Blyth kicked off the game only one win away from the FA Cup Quarter Finals. The Match of the Day cameras were there as the nation was gripped by Spartans fever. “The game should never have been played due to half a pitch being frozen.” Terry Johnson scored an early goal, latching onto an under-hit back pass and slotting past Dai Davies in the home goal, only for Spartans to be denied in the last minute.” That last minute of play goes down in Spartans history as the worst decision made against them. A Wrexham attack came to a halt when the ball clearly went out of play off a forward’s boot. Alf Grey, the referee who would later officiate the 1983 Cup Final, gave a corner. On the icy pitch, Les Cartwright moved the corner flag so that it stood at an angle and floated the corner over which was comfortably collected by Dave Clarke. Grey then noticed that the corner flag had fallen to the ground and ordered the kick to be re-taken. The flag was balanced in the ground and Cartwright delivered another corner into the box that was cleared by the Blyth defence. Again Grey noticed that the flag had fallen to the ground and ordered the corner to be taken once again. The flag was placed back in the hole and Cartwright delivered another corner. This time the flag didn’t fall over. This time it was Dixie McNeil, wearing a red shirt and not green and white, who met the ball to head in the equaliser. 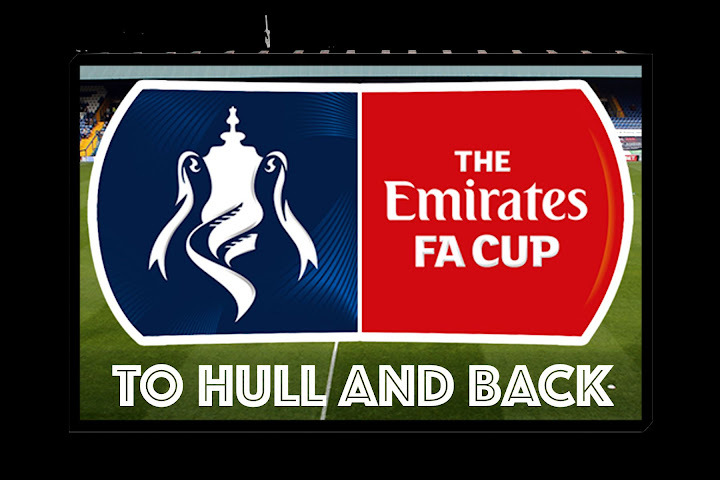 Blyth had been denied an FA Cup Quarter Final place. Blyth weren’t to be denied their dream date at St James’ Park. Police pressure meant that the replay on 27 February would take place at Newcastle’s home ground. 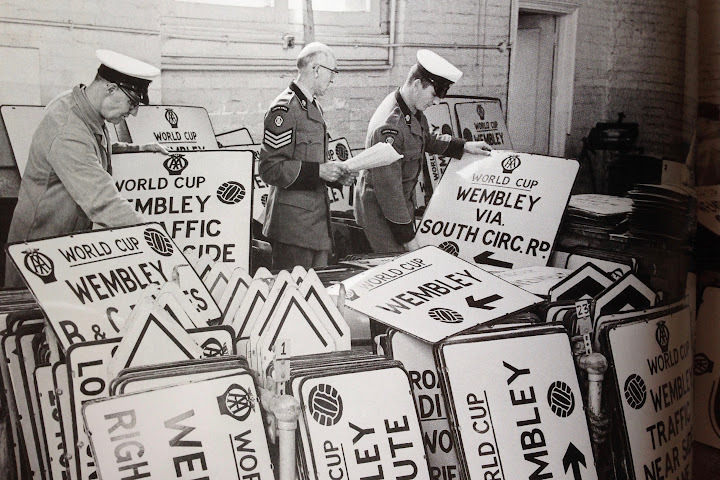 People from all over the north of England wanted to see this match and the police were having to turn traffic away in a six mile radius of Newcastle”. Blyth itself was decorated from top-to-bottom in green and white, with bunting and flags hung from every building. “Such was the electric buzz around town, my wife went to her first and last football match that night”. Ken’s wife was heavily pregnant at the time but refused to miss the game. With over 42,000 fans crammed into St James Park and over 10,000 locked outside, Wrexham took a two goal lead by the time 20 minutes had been played. With a deafening chant of ‘Spartans, Spartans, Spartans’ sweeping the ground, Blyth never gave up. Not one player and not one supporter gave up hope. After “Blyth attack-after-attack” during the second half, the ball dropped to Terry Johnson who fired home a volley. With eight minutes of play remaining, Spartans couldn’t summon up the strength to force an equaliser. “The passion and all of the ovation goes to the men standing now in the middle of St. James’ Park as they raise their arms” – Barry Davies, Blyth Spartans v Wrexham TV commentary. “It was an unbelievable and historic FA Cup run for a non-league side” which almost brought them a last eight tie against Arsenal, who themselves would go to the Final where they would lose out to Ipswich Town. At the end of the season, Blyth would eventually defeat Wrexham over two legs in the Debenhams Cup, a competition that was played between the two lower league teams that had made the biggest impact in the FA Cup that season. Looking back at that season, Ken believes that the team were “successful mainly due to the absolute togetherness of the squad, along with huge belief and a very talented and strong group of players where even the little lads were hard as nails. All of the players were local men and some key additions were made, such as Keith Houghton and Alan Shoulder, as the Cup run went on. The best point for me personally was two of my all time heroes, Ronnie Scott and Eddie Adler who had both played 12 years at Blyth, were to finish their career after the monumental Cup run”. The Blyth players earned a bonus of £350 worth of furniture from a local business for their FA Cup exploits, after earning £7 a week. By the time 1978 was out, a 26-year-old Alan Shoulder was leading the forward line for Newcastle United on the recommendation of Jackie Milburn, having quit his job at Howden Colliery, while Steve Carney, an electrician, would also make the journey to St James Park. Keith Houghton went to Carlisle United. Soon after the remarkable FA Cup run, Ken and his wife bought a house, with the main criteria being the property “located within throwing distance of Croft Park”. The Teasdale family tradition still continues at Croft Park these days where 59-year-old Ken is the tannoy announcer and Ross, his son, chooses the music that inspires the Spartan fans. Ken still watches his heroes and believes that anything is possible of “every single player who pulls on that famous green and white shirt and gives everything they have, just like the heroes of 1978 did”. Words & Interview: Andy Hudson of Gannin’ Away and Blagul Fotboll fame, with specials thanks to Ken Teasdale and Ross Teasdale. I clearly remember watching the coverage of Spartan’s cup run as a 15 year old, and the shocking decision that denied them a game with Arsenal. As an old-fashioned sort, I have fond memories of the Cup in the 70s. No penalty shootouts, no sponsorship and no shirt advertising. I haven’t made it to Croft Park yet, but will do next time my local side (Bradford PA) play there.